Injection moulding specialist Rutland Plastics is a business undaunted by the prospect of positioning itself on the innovation front line. Its 30 moulding machines, which weigh anywhere between 25 and 1,700 tonnes, produce a diverse range of parts serving a multitude of industries, from medical through to consumer goods and utilities. Since 2012, the East Midlands-based firm has utilised in-house 3D printing technology supplied by SYS Systems, a UK platinum partner for Stratasys, for everything from design and mouldflow analysis through to prototyping, in-house tool making and injection moulding, ultimately helping to deliver first-class outcomes for its customers. But it says its most recent investment in additive manufacturing is its most significant to date, to the extent that 3D printing is now an absolutely critical part of its production operation. 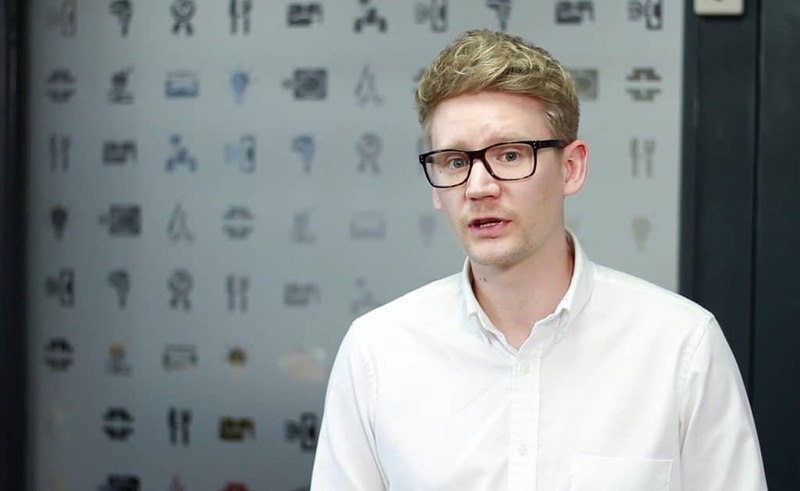 Simon Grainger (pictured below), Design and Project Engineering Manager at Rutland Plastics, said: “As a company we’ve always been at the forefront of technology. “In 2012 we purchased a Stratasys Connex PolyJet 3D printer from SYS Systems and have recently replaced this with a Fortus 380CF. The reason for choosing it was because it accompanied the introduction we’ve just made of using collaborative robots. 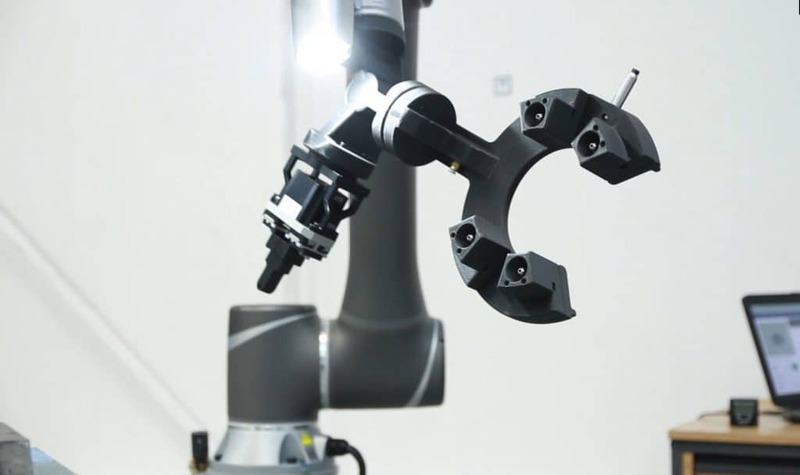 “The Fortus 380CF is ideal because it can print 30 per cent carbon filled nylon, which is excellent for producing end-of-arm tooling because it’s strong and durable but also lightweight, meaning the robots can run faster and we can maximise payload. “We’ve been working with SYS Systems for six years now and throughout that time we’ve had excellent customer service and technical support, and that’s why we’ve continued to use them. Without the cost normally associated with a high-end printer, the Stratasys Fortus 380 guarantees accurate, reliable, optimum-strength parts using ASA and FDM Nylon 12 Carbon Fiber, a material boasting the highest stiffness-to-weight ratio of any FDM option. An incredibly light but incredibly tough engineering-grade thermoplastic, carbon fiber gives unparalleled strength for dependable functional prototyping, end-use parts and rugged tooling, often replacing low-volume metal parts. Such traits make it a popular choice for UAV components and tooling in aerospace, for example, as well as for bumpers, fixtures and brackets in automotive and transportation, in addition to sporting goods and general manufacturing aids. However, unlike some of its competitors, the Fortus 380CF can do exactly what it promises to, delivering results at a superior level. Its carbon fiber material contains 35 per cent chopped carbon fibres, compared with the 15 per cent figure of its nearest rival, and achieves 30 to 50 per cent higher density on finished parts. In terms of printing speed, the Fortus 380 is four to five times faster than anything else out there using carbon fiber – but that does not come at the expense of quality. An easily soluble support system allows users to create more complex geometries, with the support material adhering to the build tray. It’s a far more reliable method than glueing parts to the bed, which can lead to peeling and movement. Mr Grainger said: “3D printing gives us greater design flexibility. It allows us to design end-of-arm tooling and jigs and fixtures for their specific purpose, and complexity doesn’t increase cost. “It allows us to incorporate features and mechanisms such as air channels, and we can also use GrabCAD software to pause prints so that we can stop and put components into the actual 3D-printed parts, such as magnets and sensors, and completely encase them. “Other benefits include being able to produce functional prototypes which allow us to check fit, function and cosmetics. “This is our first introduction into carbon fiber printing and it’s become massively important to the way that we produce all of our jigs and fixtures, and especially end-of-arm tooling. “Up until now we’ve never been able to offer low-volume production parts, but the Fortus 380CF allows us to do this to bridge the gap from research and development to production. Rutland Plastics Managing Director Steve Ayre said: “We’ve been an SYS customer for seven years and found out about the Fortus 380 during one of our conversations with the team. “We looked at other packages but found them to be very expensive compared to the Fortus system, plus we felt carbon fiber was more critical to our application.